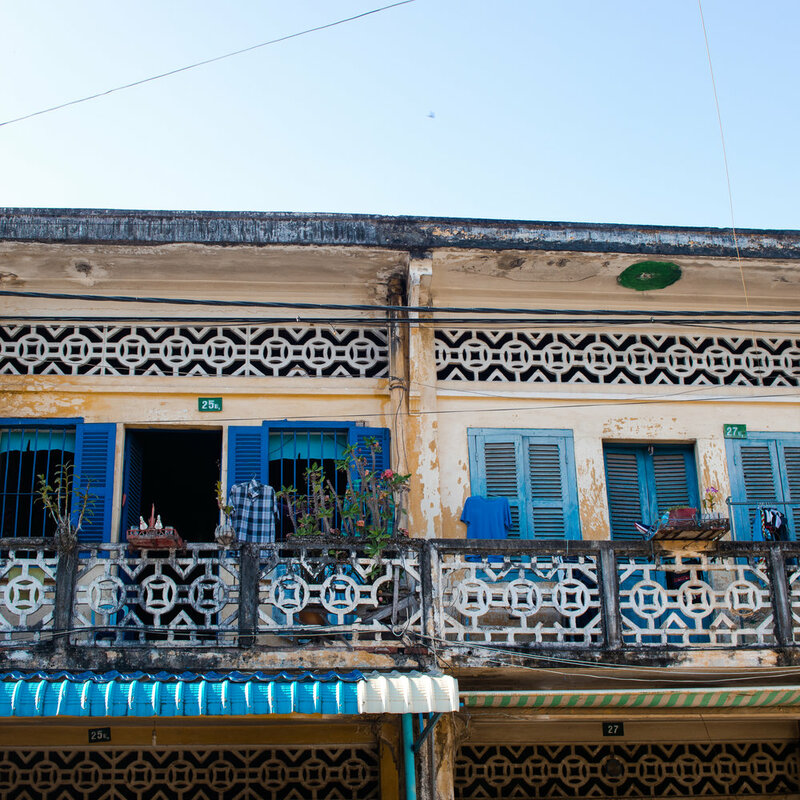 I couldn’t help but love Kampot; its crumbling architecture, plant-filled cafés and boutique stores selling local products blew me away. I spent three relaxed days wandering the wide streets with my camera, cycling the riverfront and gorging myself in the town’s great restaurants. My one piece of advice? 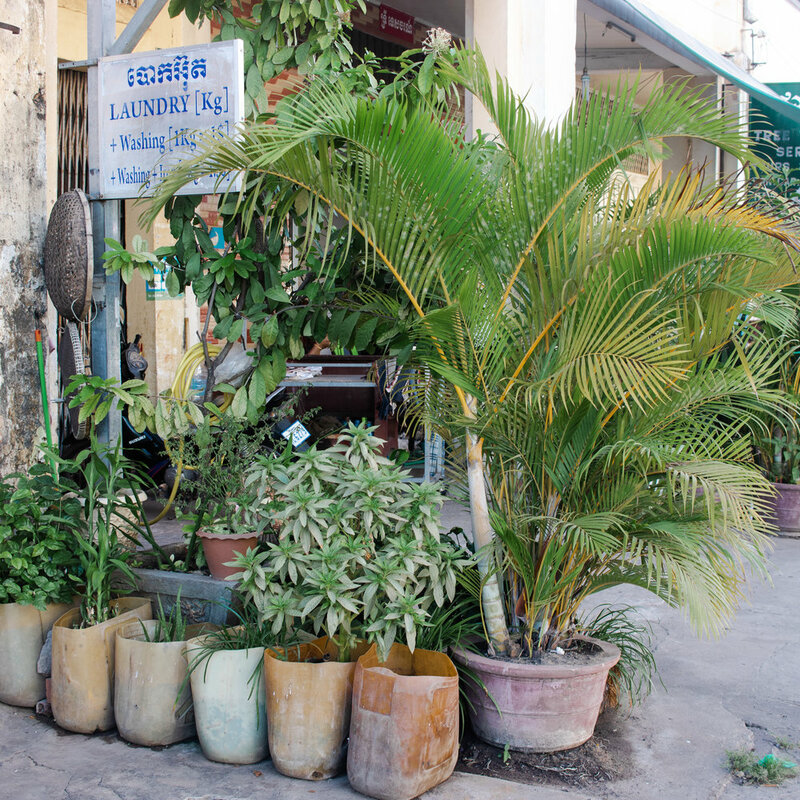 Give yourself the time to fully enjoy what Kampot and the surrounding area has to offer. If you’re staying in town, a twenty-minute tuk tuk ride costing around $5 will take you to a serene section of the river where you can paddle board, kayak or relax on a guided longtail boat tour (generally around $20 for two people, less if more people join). GreenHouse and Champa Lodge both rent out kayaks, with GreenHouse charging $6 and $8 for kayaks and paddle boards respectively. For those staying at the guesthouse, the prices are reduced $2 and $4. GreenHouse is also home to a fantastic riverside restaurant. There are also sunset cruises along the river in town, offering chances to spot the fireflies. Some offers BBQs onboard. The cost is around $5. Dorsu’s lightweight, flattering designs are created with care by local people working under fair conditions. 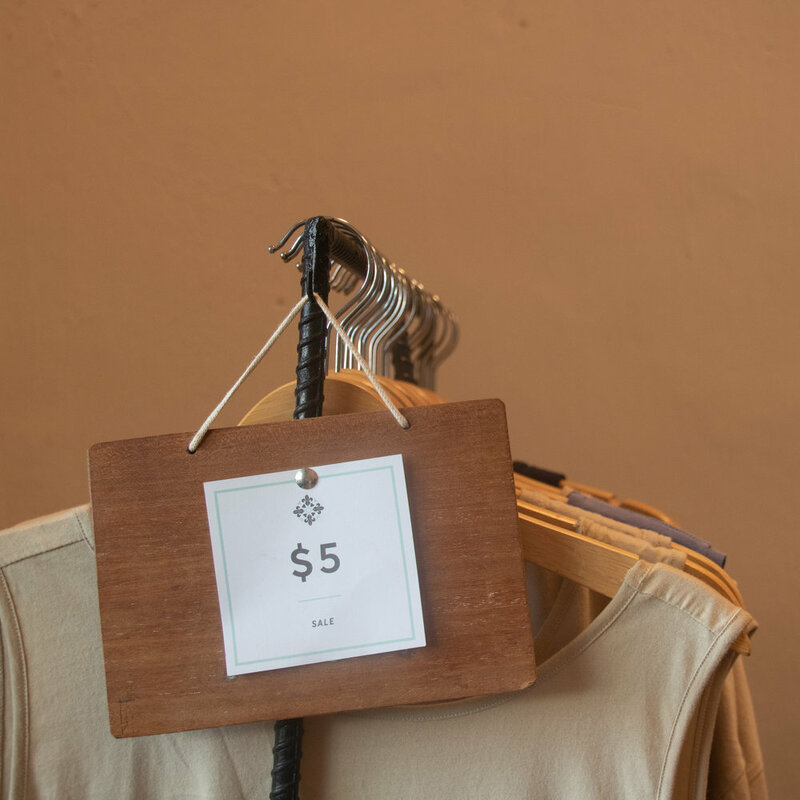 Founded by Australian Hannah Guy and locals Kunthear Mov and Pharith Yin in 2008, they now have over ten employees making gorgeous clothing which ships around the world. 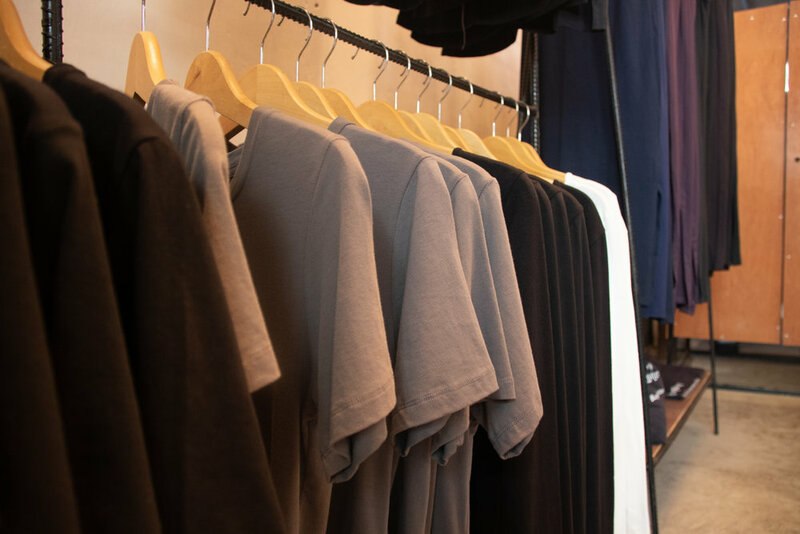 Their high-quality garments are soft and wearable; I love the muted colours and durable jersey fabric. I bought two dresses ($20 each) and one tank top ($10) which are fast becoming staples in my warm weather wardrobe. Dorsu has two stores and I highly recommend you visit at least one of them, although they do stock slightly different things. Their production studio is on the junction of Street 736 and Road 33 next door to Cafe Espresso (see below) and their flagship store in the centre of town at 35EO Street 724 on the north side of the Old Market. Tiny Kampot Pillows’ little store sells pretty cushion covers, bags, scarves and more in all shapes and sizes. Located near the 2000 roundabout, it’s the perfect place to pick up a souvenir. The Banteay Srey Women’s Spa offers women’s-only yoga and meditation classes on the river. It runs in conjunction with the Banteay Srey project, which has created a vocational training centre where vulnerable women can develop new skills and build a safe and secure future. If you are not staying in Kep separately, you can easily spend a full day here as a trip from Kampot. Take an early tuk tuk and explore Kep National Park, in which there are multiple hiking trails; the ranger at the park’s entrance can provide you with a map. Beware of the pack of dogs near the nunnery at Sunset Rock; they appear aggressive but fortunately it seems they are more bark than bite! Treat yourself to lunch at either Kep’s crab market or at one of the restaurants lining the shore. I would recommend Holy Crab and Magic Crab. The former is more upmarket; you can expect to pay more for the decor, atmosphere and refined menu. Magic Crab was just as tasty (their Kampot pepper crab with lime is delicious) but service can be a little slow. From Kep, you can take a 30-minute boat ride to Rabbit Island (Koh Tonsay), which is a relaxed place to spend an afternoon. It costs around $25 for the whole boat. Salt and pepper is synonymous with Kampot. Salt fields can be found just outside of town; you can see the salt crystals forming as the water evaporates throughout the day. Many pepper plantations offer free tours throughout the day and you can visit plantations either on a full-day ‘countryside tour’ ran by agents in town, or independently. La Plantation, Vine Retreat and Bo Tree get consistently positive reviews. You may wish to combine a plantation visit with a trip to Kep, as many farms are based in this area. 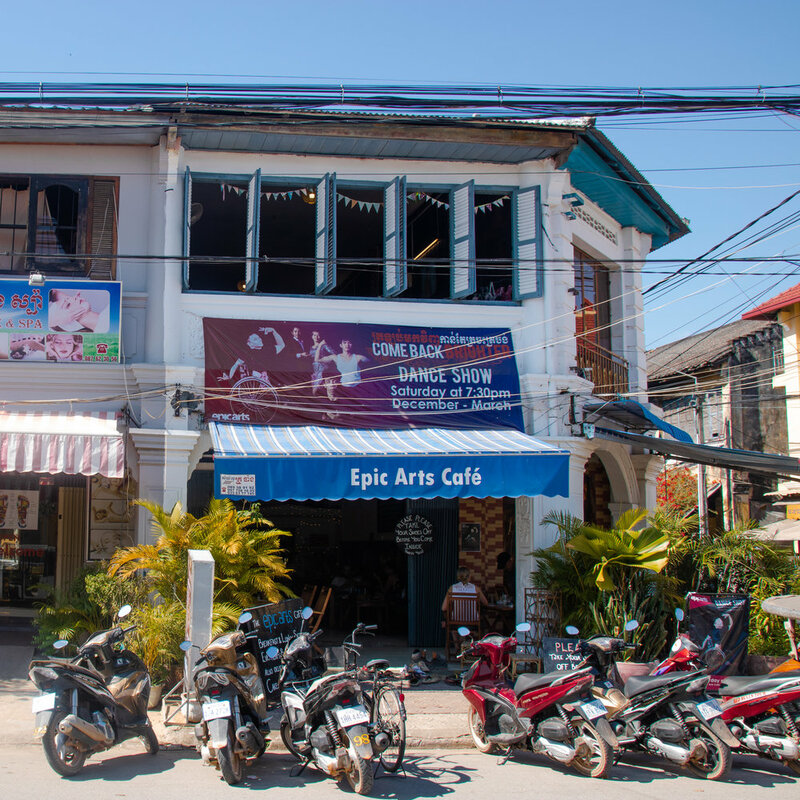 In Kampot, there are generally two places you can stay: in town or on the river. I chose to stay in town, but I heard great things from people staying at GreenHouse, which also has a fantastic restaurant. The veggie burger I had here was so. fricking. tasty. The only rival I can think of is a vegan burger offered in Greenwich mark in London, near where I live. Vegetarian and vegan options abound, and their desserts are on point. Dinner for one with a drink costs between $7-$10. The best place for happy hour (from 4.00pm until 6.00pm), Rikitikitavi boasts attentive staff, carefully-made cocktails a prime spot on the river and… board games! You can stay here, too (see below). Cocktails cost around $4 (so that's $2 each in happy hour) and main meals around $7. A short cycle out of town and situated next door to Dorsu’s production studio, Cafe Espresso is a seriously cool warehouse roastery serving tasty brunches (I recommend the Kampot blini). Service is laid back so don't go if you are in a rush. An organisation that champions equal working opportunities, employing those with hearing or physical disabilities, this place is a real treat. They serve heavily-laden bagels, paninis and cakes, along with some more traditional Cambodian dishes. It also houses an art gallery and shop that sells jewellery and local crafts. Their $4 bagels are a gorgeously messy knife and fork affair. At $23 for a comfortable double room with wet-room style ensuite a ten minutes walk from the centre of town, these rooms are great value. I liaised with Ben over email to book my room and paid on check out. The wifi is great and there are free bicycles available. Home to an atmospheric bar and restaurant upstairs, this is arguably the best place to stay in town. With an enviable position on the river and swanky rooms, it's the ultimate upmarket option (rooms start at around $50 per night). If you can’t afford staying here, make sure you visit for a happy hour cocktail or dinner! There are lots of cheap options in town as well as slightly further afield. Try Karma Traders and Kool Kampot. From Sihanoukville, expect a minibus to take around 3 hours and cost in the region of $7. There are around 3 - 6 departures a day depending on the season - your guesthouse should be able to help you book your bus ticket. To get to or from Kep, take a tuk tuk for between $10 and $15 one way, depending on the time of day. It can be a dusty 45-minute journey so bring a scarf and sunglasses to protect your eyes! From Phnomh Penh, coaches and minibuses cost between $8 and $10, the latter of which usually pick you up from your accommodation. They tend to take around 4 hours. As Kabuto Noodles’ ‘Asian Traveller’, my trip to Cambodia was generously part-funded by these noodle ninjas! You can check out their range of noodles here (my favourite is their Chilli Chicken Ramen) and follow them on Twitter and Instagram for some dreamy noodle pics.